The Nina Riggs Poetry Foundation hasn't added a story. If you knew my wife, Nina Riggs, you won't need a lengthy explanation for this project to fund a posthumous poetry award in her name. The last thing Nina published was her memoir The Bright Hour, which came out in June of 2017, just a few months after she died. Before that she'd always been a poet, publishing Lucky Lucky, a chapbook of poems, as well as poems in various journals during her cancer-shortened career. When she died in February of 2017. Nina had written beautiful work on many subjects, including relationships and domestic life. She knew how to savor every moment, to examine at close range the precariousness of life, and in her poetry and her memoir, she explores the poignancy and love that resonate in the details of every day. The literary journal Cave Wall founded the Nina Riggs Poetry Foundation to support this award and to honor poets like Nina, whose writing illuminates the beauty of everyday life experiences. Each year, The Nina Riggs Poetry Foundation ("TNRPF") will award at least one poet for the finest writing that examines relationships, family, or domestic life. We will be looking for poems published in journals and books during the previous three years. Each winner will receive a substantial monetary prize and, if funding permits, will be invited to give a reading in Greensboro, NC, where Cave Wall is based, where Nina received her MFA in poetry in 2004, and where Nina and I lived together with our two kids (Freddy and Benny) and two mutts (Ellie and MacDuff) for most of the past 16 years. 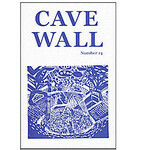 Nina was close to the editors of the journal, published poems in Cave Wall, and I am certain would be thrilled to lend any support she can, even posthumously, to continue to be involved with Cave Wall and its artistic mission. It makes me feel closer to her just to take part in the project. In order to do this, TNRPF is seeking donations for the award on this site. The amount of the prize and its longevity will depend on the donations. Our goal is to raise at least $10,000, which will allow us to give a poet prize money commensurate with our vision for the award, plus travel expenses, for several years. We would love to see the fund exceed that amount, growing to last decades or even honor multiple poets each year. Please help us by giving a donation. TNRPF is a non-profit organization and all donations will be tax deductible. Also, Cave Wall will acknowledge donations to TNRPF of $50 or more on its website, as well as in an issue of the journal, with special acknowledgements for donations over $500. Help us honor poetry that cultivates a greater sense of how we are all connected; poetry that discovers opportunities for gratitude in the way we move against and with each other through our days. Join us in honoring Nina's legacy and in simply remembering her as a poet & writer. There is no application for the award, but Cave Wall welcomes nominations year round by mail. The winners will be chosen each year by a panel that includes the editors of Cave Wall, a rotating cast of guest panelists, and me (token non-poet/ Diversity!). Please mail copies of poems you come across that honor family or relationships in some way, published within the last three years, to the Cave Wall editors. Their info is here: http://www.cavewallpress.com/ninaaward.html. Be sure to let us know the name of the poet and the publication where they first appeared. Thanks everyone for any contribution you can make towards this thoughtful literary project to honor Nina and the poetry world she inhabited for many years. The Nina Riggs Poetry Foundation hasn't posted any updates yet. The Nina Riggs Poetry Foundation is managing the funds for this campaign.